Chatbots are one of the hottest areas of Artificial Intelligence and we explained them in detail before. Social media revolutionized customer service by enabling customers to digitally reach any brand at any time. However, social also meant that companies needed to cover numerous channels effectively. Then came chatbots. Companies are anxious to take advantage of 24/7 functioning, intelligent, self improving chatbots handling most queries and transfering customers to live agents when needed. Chatbots reduce customer service costs and increase customer satisfaction. 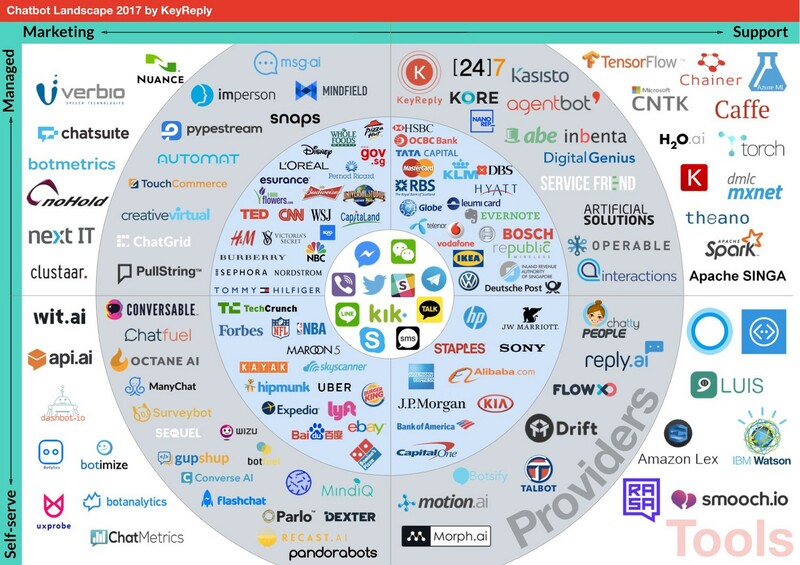 Given the potential value of chatbots, it comes as no surprise that an ecosystem is developing around chatbots. End-to-end solution providers: Large companies generally need a relatively complex chatbot solution and do not want to invest management time and engineering effort to build such a solution in-house. Therefore, a significant number of enterprises are working with end-to-end solution providers that work with the client team to understand requirements, process customer data and use it to train chatbots and maintain chatbots to ensure customer satisfaction. These companies leverage latest developments in machine learning, deep learning and Natural Language Processing (NLP) to create chatbots. While bots still can not create conversational experiences like human conversations, they are beginning to handle basic customer queries. 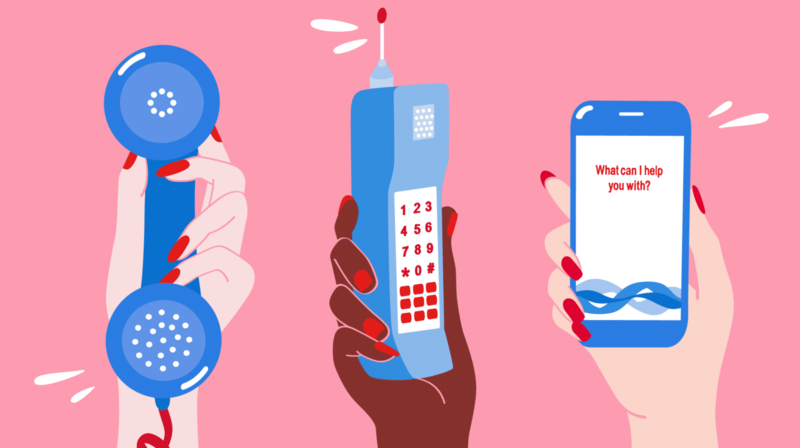 Self-Service solution providers: Smaller businesses have less demanding requirements and a much smaller budget for their chatbots. For these companies, a self-serve solution is the right solution most of the time. Their technical personnel can leverage existing APIs or self-service tools to build a chatbot in a matter of days. Or bot developers at large companies may want to use self-service solutions to build their solution on top of an existing framework to save time. To understand more, you can visit our section on these chatbots. If you are interested in building your company’s chatbot inhouse, take a look at all vendors in this space from our blog. Chatbot analytics: Analyze how customers are interacting with your chatbot. See what you can use as chatbot analytics. 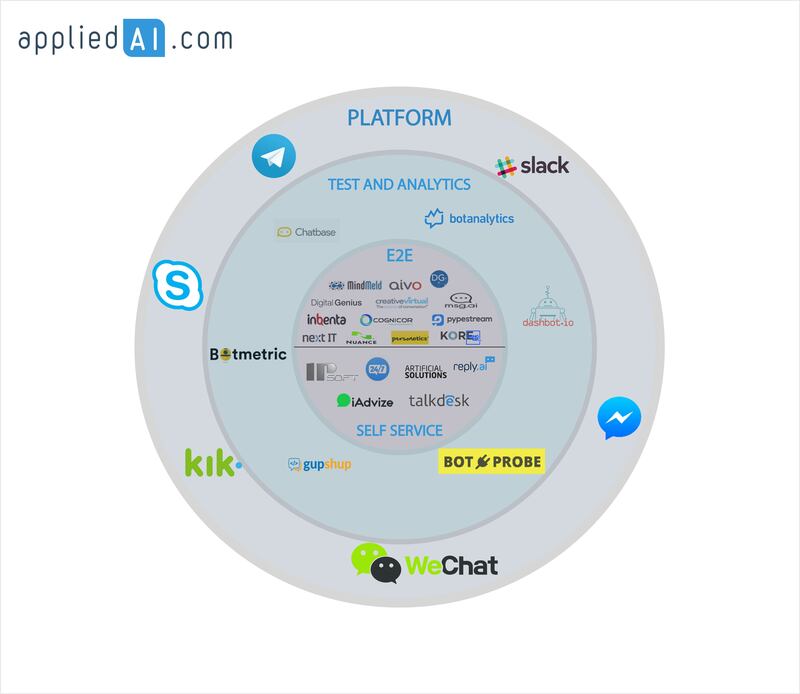 Chatbot testing: Semi automated and automated testing frameworks facilitate bot testing. To find out how you can test your bot. Bot platforms: Once your bot is ready, it’s time to let it loose. Viral and useful bots have managed to acquire loyal followings in platforms like Facebook Messenger and Slack. For example a successful virtual assistant, meekan acquired a loyal following on Slack. The main difference between our and Business Intelligence’s ecosystem maps is that they provided a number of third party chatbots (chatbots used by companies for customer service and marketing) in the ecosystem as well. If you are into successful chatbots, we analyzed the 10+ most successful chatbots where you can also learn about the specific functionality of these chatbots. Unfortunately, not every chatbot is a success and we have a list of horrific chatbot failure stories for you as well. They spent a large part of the ecosystem map on company chatbots like CNN’s chatbot that provide marketing or support services. The axis are a good aim to distinguish between chatbots that are built for support and those that are built for marketing. However, I don’t think they were able to classify chatbots successfully because we couldn’t see that much difference between bots in different categories. Finally, the tools category probably needs to be segmented further. For example, testing and analytics are different use cases. In the next version of our chatbot ecosystem, we will do that. 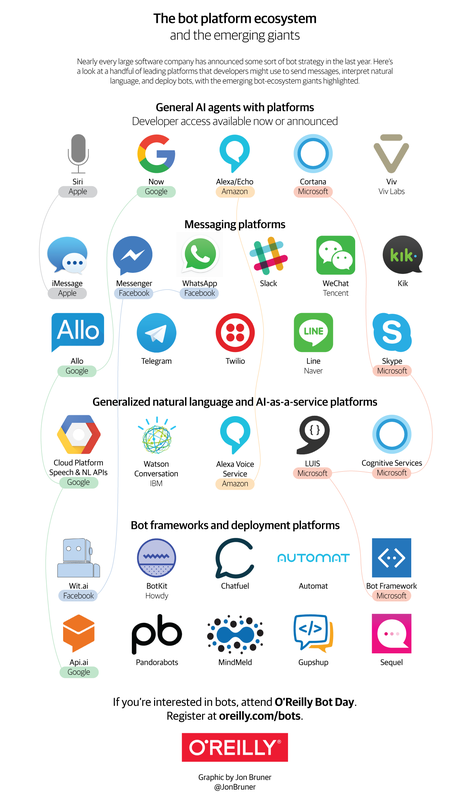 Recast.ai published a relatively simplistic map of the bot ecosystem in 2018. Interestingly, the later the map, the simpler it is getting. Part of it is due to the fact that by 2019 chatbots are no longer living up to the hype about them in 2016 and 2017.